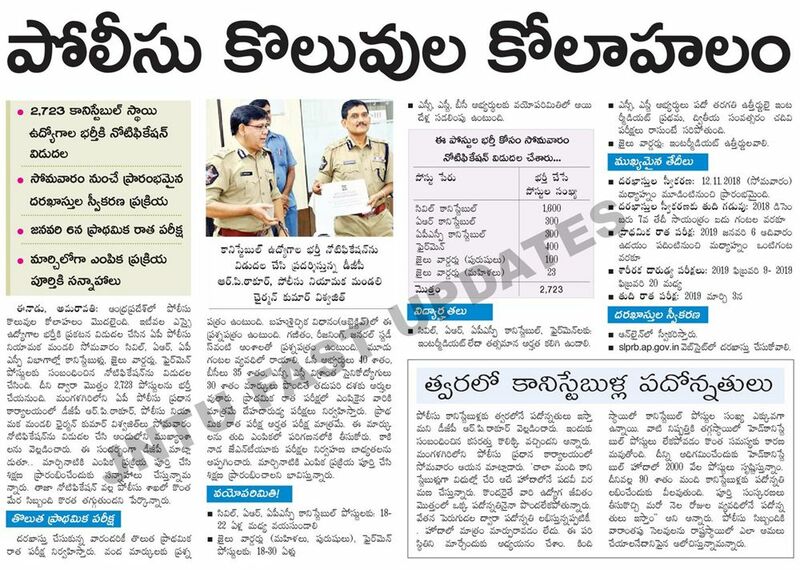 AP Police Constable Notification 2018 Application Form : APSLPRB has released Police Constable Recruitment Notification 2018 for 2723 SCT PCs Civil & AR, Warder and Firemen Vacancies at slprb.ap.gov.in. Eligible candidates can apply online or download Application form from 12th November to 7th December 2018. 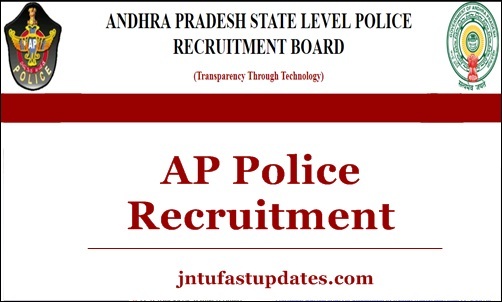 State Level Police Recruitment Board, Andhra Pradesh (SLPRB, A.P.) invites applications through ONLINE mode only in the prescribed proforma to be made available on WEBSITE (slprb.ap.gov.in) from 05-11-2018 at 1500 hours to 24-11-2018 at 1700 hours for the following posts. దరఖాస్తుల స్వీకరణ: 12.11.2018 (సోమవారం) నుంచి ప్రారంభమైంది. The number of vacancies indicated is only provisional and is liable for change without giving any notice. SLPRB, A.P., reserves the right to notify the modifications with regard to any aspect of recruitment during the process of recruitment. The Preliminary Written Test will be held on 06-01-2019 (Sunday) from 10.00 AM to 01.00 PM (3 hours). The registered candidates may download their Hall Ticket from the website (10) days before the date of Preliminary Written Test. (i) For the posts mentioned against Post Code Nos. 21 and 22 Men & Women are eligible. (ii) For the post mentioned against Post Code No. 23, 24 & 26 Men only eligible. (iii) For the post mentioned against Post Code No. 25 Women only eligible. ఎస్సీ, ఎస్టీ, బీసీ అభ్యర్థులకు వయోపరిమితిలో అయిదేళ్ల సడలింపు ఉంటుంది. (i) A person who is a local to Andhra Pradesh State and also working in Andhra Pradesh Police Department as on the date of notification, has been on duty as Home Guard for a minimum duration of 360 days within a period of two years and who is still continuing his service as Home Guard, must have attained the age of 18 years and must not have attained the age of 30 years as on Pi July, 2018 i.e., must have been born not earlier than 2nd July, 1988 and not later than lm July, 2000. (ii) All other candidates must have attained the age of 18 years and must not have attained the age of 24 years as on 1st July, 2018 i.e., must have been born not earlier than 2nd July, 1996 and not later than 1st July, 2000. 2) For the post code no. 24, 25 & 26: Must have attained the age of 18 years and must not have attained the age of 30 years as on1nt July, 2018 i.e., must have been born not earlier than 2nd July, 1988 and not later than 1″ July, 2000. సివిల్, ఏఆర్, ఏపీఎస్పీ కానిస్టేబుల్, ఫైర్‌మెన్‌లకు: ఇంటర్మీడియట్‌ లేదా తత్సమాన అర్హత కలిగి ఉండాలి. ఎస్సీ, ఎస్టీ అభ్యర్థులు పదో తరగతి ఉత్తీర్ణులై ఇంటర్మీడియట్‌ ప్రథమ, ద్వితీయ సంవత్సరం చదివి పరీక్షలు రాసుంటే సరిపోతుంది. The candidate must hold, as on Pt July, 2018, Intermediate or its equivalent examination recognised by the State Government. In the case of a candidate belonging to Scheduled Castes or Scheduled Tribes, as on Pt July, 2018, he/she must have passed SSC or its equivalent examination recognised by the State Government and should have studied Intermediate and appeared for the Intermediate Examinations in both the 1st year and 2nd year. Note: The candidates who possess higher qualification than the prescribed one will also be considered for selection on par with the candidates who possess the prescribed qualification. దరఖాస్తుల స్వీకరణ: ఆన్‌లైన్‌లో స్వీకరిస్తారు. (http://slprb.ap.gov.in/) వెబ్‌సైట్‌లో దరఖాస్తు చేసుకోవాలి. Those who intend to apply for more than one category of posts need to submit only one application form. Applications submitted after 1700 hrs on 07.12.2018 will not be accepted’ Incomplete applications will not be entertained. I Step: Candidate has to visit SLPRB Website www.slprb.ap.gov.in to pay prescribed Registration Fee by providing his / her Basic personal details like Name, Father’s Name, Date of Birth, Mobile Number, Community and SSC Hall Ticket Number or its equivalent through Credit Card, Debit Card, Net Banking or any other mode made available on the SLPRB Website. Alternatively, the candidate may also visit any of the MeeSeva (e-Seva) / AP Online Centres to pay the prescribed fee by providing above details and amount should be credited in favour of Chairman, State Level Police Recruitment Board, Andhra Pradesh. II Step: After making the Payment, Candidate has to visit the website www.slprb.ap.gov.in to submit the Online Application Form. Even after making payment of fee, if the candidate fails to press submit the Online Application Form, such cases shall be rejected without giving any notice and fee once paid will not be refunded in any case. III Step: Candidates who are declared qualified in Preliminary Written Test have to again visit the website www.slprb.ap.gov.in for uploading the Part II Application along with the original scanned copies of Certificates / Documents. For any problems regarding Recruitment Please Call Helpline Numbers : 9441450639 or send mail to mail-slprb@ap.gov.in. 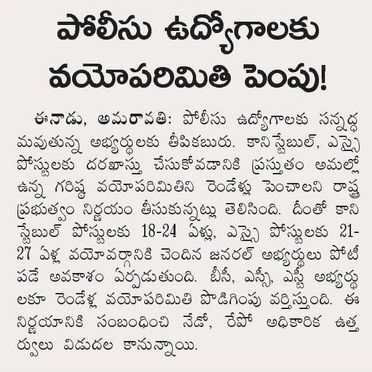 sir 12and13 details lo na photo and signature display kavadam ledu sir constable application lo.